A shocking prophecy from Leader and founder of the Enlightened Christian Gathering (ECG) Prophet Shepherd Bushiri is now doing the rounds. The Man of God who is originally from Malawi but now based in Mzansi, prophesied last Sunday about the Fees Must Fall protests going on in South Africa. The fees must fall protests have been raging all over the country for weeks now and have caused about R600 million in damage to property in the last few weeks and threaten to sabotage the country’s entire higher education system. 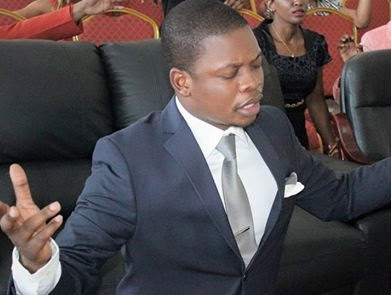 And Bushiri said he has repeatedly been shown in visions that South Africa is going to witness a situation akin to that of the Marikana massacre which claimed the lives of 44 people. “I have been withholding this prophecy because I know it can cause panic, but I have to say I see tragedy, in South Africa. It’s exactly like what happened in Marikana. But it is now going to happen in varsities. I see police shooting students. We must pray for South Africa.” said the prophet. The prophet immediately delved into deep prayer for a moment, he then encouraged his church congregates to begin praying as well.